Situated in the centre of Asia and on one of the world's most important historical trading routes - the Silk Road, it's no wonder that Uzbekistan has a history as fascinating as it is long. 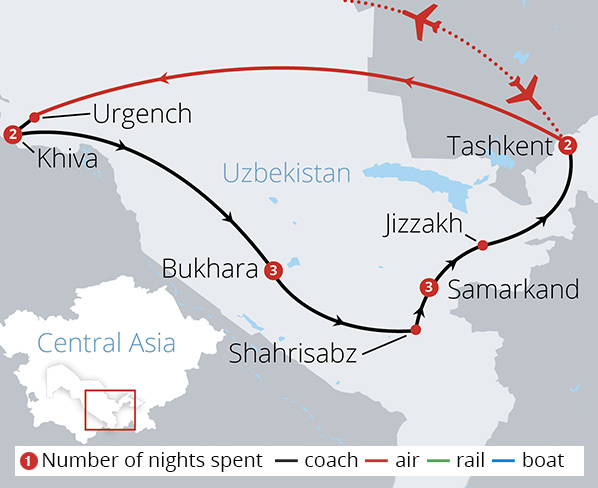 A point where east meets west, northern Russia meets Islamic Asia; Uzbekistan is a dazzling smorgasbord of culture and colour, of myth and legend, and is well worth a visit. 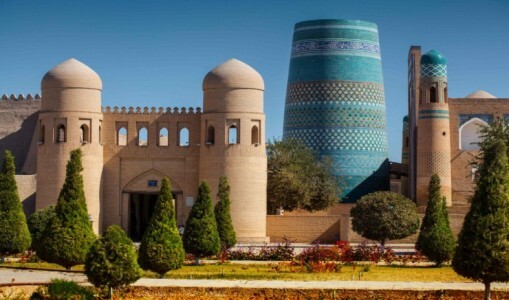 Our Uzbekistan tours take you to the best of this exotic country from the inspiring blue-tiled mosques and madrasas of Bukhara to the lush Fergana valley and along the Silk Road to Samarkand in the footsteps of Alexander the Great, Tamerlane and Genghis Khan to name a few.